There is no end of bad news for Boeing with the Air Force's top acquisition official now launching a blistering attack against company. Dr. Will Roper says the aircraft manufacturer has a 'severe situation' after flawed inspections of its new KC-46 air refueling tanker aircraft found trash and industrial tools still inside after they had been delivered. 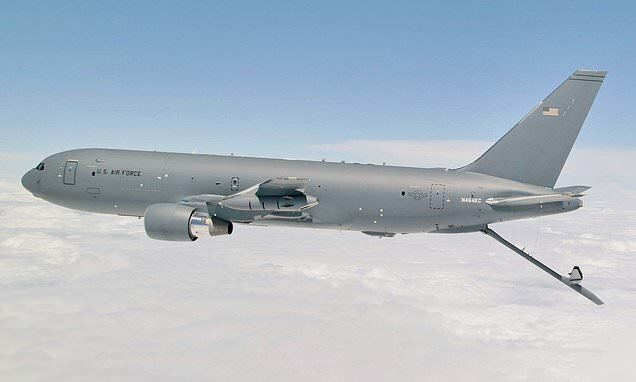 The Air Force then decided to stop accepting Boeing's KC-46 tankers as of February 20, saying the issue was not with the aircraft itself but with the process in place for building the aircraft. Deliveries of the jet were halted last month when 'foreign object debris' was found in one of the aircraft. Boeing has since offered to inspect all the aircraft that were accepted by the Air Force adding that a couple of airplanes were nearing acceptance in the coming days. Dr. Roper who is the assistant secretary of the Air Force for acquisition, technology and logistics made his concerns clear his concerns after visiting Boeing's Everett Washington plant where the plane is assembled. 'I left concerned, and I also left thinking Boeing understands they have a severe situation that's going to take top level engagement from their company,' Roper said to CNN. 'It's going to take more than a year of measuring and tracking Boeing's performance until we're confident that they follow their procedures, and maybe longer than that before we believe the culture of quality has come back,' Roper said. Roper re-visited the plant again on Monday and managed to secure a promise from the company for a new inspection plan which will see deliveries resuming as upgraded inspections are completed.